Team Liquid’s perfect run comes to an end with a loss to TSM. FlyQuest sits alone in third and C9 keeps its second place in the LCS standings. Echo Fox’s Dr. Jekyll and Mr. Hyde split continues. The team fails to show up on Saturdays but absolutely demolishes the competition on Sundays. 100 Thieves are the most recent victims of Sunday Echo Fox, which now moves into a 4-4 record in the standings. Golden Guardians have apparently hit their stride, winning for the third time in the last four games after a 0-4 start and find themselves in the playoff hunt following a victory against Counter Logic Gaming. TSM upset Team Liquid, ending their opponent’s dreams of a perfect split while also closing out a 2-0 weekend following a disappointing 0-2 performance the week before. FlyQuest takes sole possession of third place following a victory over Clutch Gaming and Cloud9 maintains its second place in the standings after surviving a surprisingly tough game against OpTic Gaming. FOX began by contesting an Ocean drake started by 100 Thieves. Jungler Lee “Rush” Yoon-jae (Jarvan) secured the objective for Echo Fox while 100 Thieves mid laner Choi “huhi” Jae-hyun (Lissandra) arrived too late trying to engage from the flank. Kim “Fenix” Jae-hun (Zoe) finished him off for the first blood. 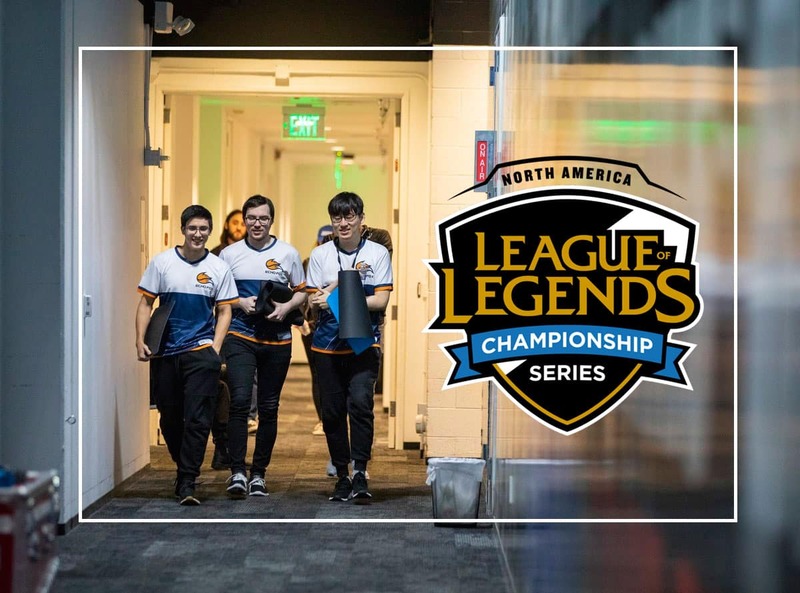 With a dominant performance in the bottom lane, Echo Fox also secured the first turret including the full gold from all five plates, building a solid lead into the mid game. 100 Thieves managed to get back some of the gold by punishing Echo Fox for overextending or getting too aggressive. After finding two good fights, FOX finally pulled ahead and secured a game-ending Baron buff. Showing off the incredible engage potential of its Malphite, Jarvan and Alistar combo, Echo Fox picked up three kills inside 100 Thieves’ base to end the game off a single Baron powerplay. First blood went CLG’s way as Henrik “Froggen” Hansen (Orianna) tried to buy time while his team secured an Infernal drake. Tristan “PowerOfEvil” Schrage (Syndra) picked up the kill, but GGS walked away with the objective. The Golden Guardians built a decent lead during the laning phase, taking down six plates to CLG’s two while adding a second elemental drake as well, turning that advantage into an outer turret in the top lane. At the 23 minute mark, CLG tried to pick off Froggen only to get picked off instead. GGS secured two kills and headed to the Baron pit, securing the buff. With a solid powerplay, the Guardians left Counter Logic Gaming’s base down to the inhibitor turrets while also dominating the vision inside their opponent’s side of the jungle. Having the advantage inside the fog, GGS picked off AD carry Trevor “Stixxay” Hayes (Sivir) to set up for a second Baron buff. The Guardians destroyed two inhibitors during the powerplay and added a fifth elemental buff to build another winning condition. CLG tried to defend its base with an engage from the flank, but GGS turned the fight around and secured a kill on Raymond “Wiggily” Griffin (Gragas). Having the man advantage, the Golden Guardians went for the Nexus and managed to end the game in 38 minutes. Andy “Smoothie” Ta (Thresh) picked up the first blood on Liquid’s support in a bottom lane trade Jo “CoreJJ” Yong-in (Alistar). TL tried to contest a Rift Herald execution by TSM but surrendered two kills as well as the objective. TSM used the advantage to take down the top lane tower with the full gold from five plates. 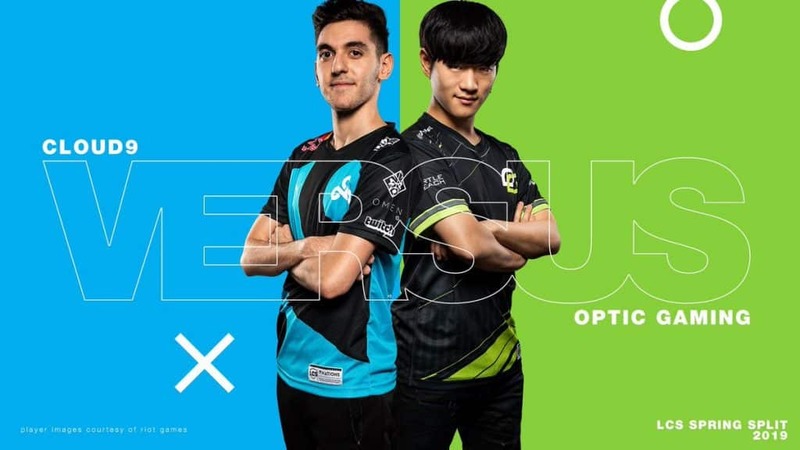 Sergen “Broken Blade” Çelik (Jax) got ahead of Jung “Impact” Eon-yeong (Yorick), taking one of TL’s winning conditions out of the table and turning it to TSM’s favor. Relying on its composition’s pickoff potential, TSM continued to grow its lead in gold and around the map. 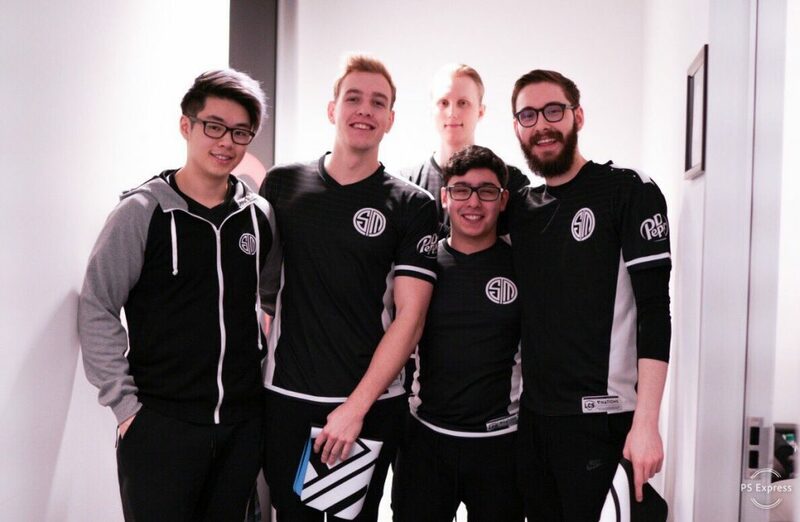 While the teams danced around the Baron pit, TSM bought time for Broken Blade to clean TL’s bottom lane. Impact went back to base trying to stop the rookie top laner only to get solo killed. Broken Blade teleported into the pit as TSM secured an uncontested Baron buff. Liquid was forced into defending against four players from in the bottom lane or a split-pushing Broken Blade in the middle, which in the end created the space TSM needed to take down two inhibitors. Waiting for the second Baron to come into play, TSM continued to siege TL’s Nexus turrets without actually pulling the trigger. Liquid went for a desperate attempt at the Baron but did not have the damage to pull it off. Broken Blade teleported into the base and headed for the nexus turrets. TL made it back too late to do anything as the TSM top laner destroyed the Nexus turrets before being joined by the rest of the team to end the game as well as Team Liquid’s undefeated run. FlyQuest opened the score with a counter gank by Lucas “Santorin” Larsen (Lee Sin). FLY picked up three kills to one for CG, which put the team significantly ahead less than five minutes into the game as both the bottom lane duo and the jungler walked away from the play with a solid advantage. 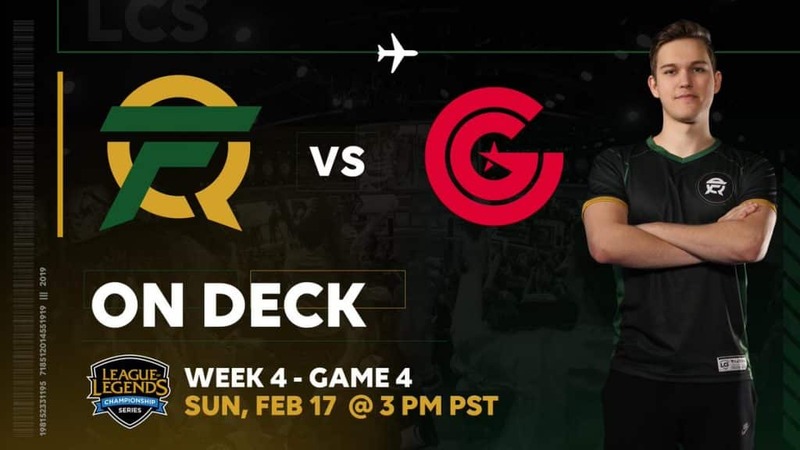 CG managed to keep itself in the game and found the kills it needed to get back in and overtook FlyQuest in gold after collecting bounties of mistakes by their opponents. CG did what its composition asked for and looked happy to stall for time while waiting for its power spike until Heo “Huni” Seung-hoon (Sion) decided to pull the trigger. Clutch fought without coordination while FLY’s carries Jason “WildTurtle” Tran (Kai’Sa) and Omran “V1per” Shoura (Riven) cleaned it out. FlyQuest scored a delayed ace but created an opening to go for Baron. FLY got ahead once again, taking down the mid lane inhibitor as V1per’s split push became too much of a nuisance for CG to deal with. FlyQuest secured an easy and uncontested Baron at 38 minutes. As Clutch tried to chase down FLY’s players in the mid lane looking for an engage, V1per continued to split push on the top side and made his way to the Nexus turrets. CG defended its base, which gave FlyQuest additional space to secure the Elder dragon as well, powering four elemental buffs. With pressure mounting in from all sides and their base down to a bare Nexus, Clutch watched as FlyQuest continued to inch closer and closer to ending the game. V1per broke free and went straight for the Nexus, closing out the game as the rest of his team held off CG’s players. The game began with an aggressive trade in the bottom lane as the two sides burned a combined seven Summoner Spells. First blood however came in the top lane with a gank from William “Meteos” Hartman (Olaf), taking down Eric “Licorice” Ritchie (Urgot). Neither team managed to gain a significant advantage heading into the mid game, though OpTic did secure two elemental buffs. OpTic found a good fight inside the jungle but failed to make anything out of it. C9’s players came back and found a fight themselves, starting off with a pickoff on Lee “Crown” Min-ho (Ahri) and Meteos. Niship “Dhokla” Doshi (Sion) committed with a late Teleport and also got taken down, which gave C9 the space to go for Baron. In a single push from the bottom lane, C9 scored an ace inside the OPT’s base and closed out the game in just 25 minutes.